We all know that the inner workings of the world is ruled by widely accepted laws. A scientific law is the description of an observed phenomenon, supported by a large amount of empirical data. 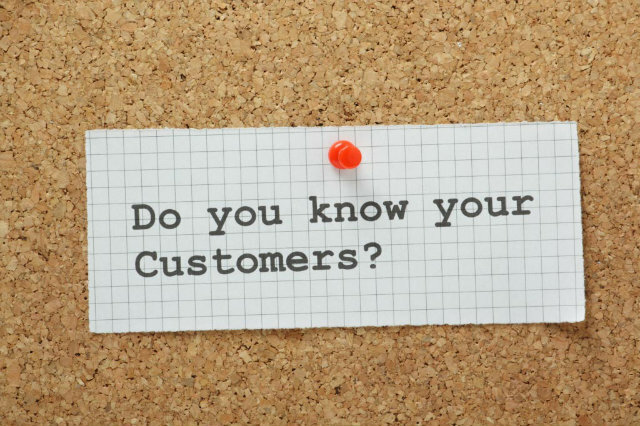 The same with the laws of customer experience, deeply rooted in numbers and statistics. To understand clients, build your inbound marketing strategy and improve customer experience for the digital era, you have to consider this set of fundamental truths about how the Age of the Customer works. The rise of new economies and markets, coupled with the spread of the Internet and mobile technologies, has caused an unexpected twisting in the global scenario. Customers have changed their skin, evolving into a 3.0 upgraded version, more demanding and extremely hard to please; brands, as a consequence, have been forced to reassess their vision and adapt their strategy for the new leading character. The main difference between pre-Internet and post-Internet marketing lies in the focus of the overall strategy: where we could find the product – until few years ago – now we see the customer. In order to attract potential customers and engage with those that already know your brand, you need to switch from a push strategy to an attraction strategy. From outbound to inbound marketing, from interruption to experience. A project plan, though, is not enough to ensure a real change. Like any other science, digital customer experience management derives from data analysis, that should be inherent to every single step of the customer journey map. Give the premise, the inbound strategy creation starts from few simple – yet sometimes overlooked – laws of customer experience. The times of a non-stopping sequence of commercials pushed from above are now over. If you spread your message without knowing who you’re talking to, you will have to face a higher margin of error and a total lack of emotional engagement. Your experience needs to be designed for individuals, and the voice of your customer becomes crucial. Listen before talking, understand needs and desires and shape your content accordingly. After decades of ‘Ego marketing’, all companies must face the naked truth: your customers know you better than you do. It means that your old brand-centric marketing strategy will not work efficiently with instinctively self-centered people. The fight for the balance of power has reached an unsuspected plot twist: customers now look for compelling experiences, and if you ‘just’ offer a useful product you won’t gain any competitive advantage in business. The rule is: unengaged employees jeopardize customer engagement. As the Starbucks loyalty case study teaches, the first step to create an amazing experience for clients is to involve your employees. Their dissatisfaction will ultimately impact on the service you deliver: “the entire service-profit chain begins with, and absolutely depends on, engaged employees” (cit. Brian Solis). Three keywords for employee engagement: share, communicate, involve. The fourth law of inbound marketing could be summed up in one plain sentence: never ever settle for what you have already accomplished. In an fast-changing scenario, where customers set the rules of engagement, the worst thing you could do is to think that you don’t need to evolve and move with the times. To quote the well-known motto by Steve Jobs, “stay hungry, stay foolish“. Don’t be scared to try new solutions and technologies, and opt for a proactive approach. For customers born and grown-up in a mobile ecosystem, life is a sequence of online moments built across different touch points. The customer journey map becomes mandatory to understand how clients connect with your brand and product. The last – but not least – law of inbound attraction is to think and act omni-channel, to offer consistent, personalized and seamless experiences online and in-store. Drop a channel, forget a device and customers will say goodbye!. As practical advice: if you want to connect with your customers in a whole new way discover Neosperience Engage, the end-to-end mobile marketing solution to turn on smartphones like magic and deliver personalized experiences to customers close to, or inside the store.